For this week’s installment, the legendary NYC graffiti collective TATS CRU is set to release limited edition prints inspired by the group’s recent Bowery Wall mural, Felipe Pantone unveils the new Marta motif for his customizable Configurable Art platform, Case Studyo teamed up with Swedish-born artist Joakim Ojanen on a special edition sculpture release, Louis De Guzman to launch new Falling Through print and the MoMA Design Store is selling posters portraying rare artworks. The legendary Bronx-based graffiti crew TATS CRU recently paid tribute to New York City with a striking mural on the historic Bowery Wall in Manhattan. 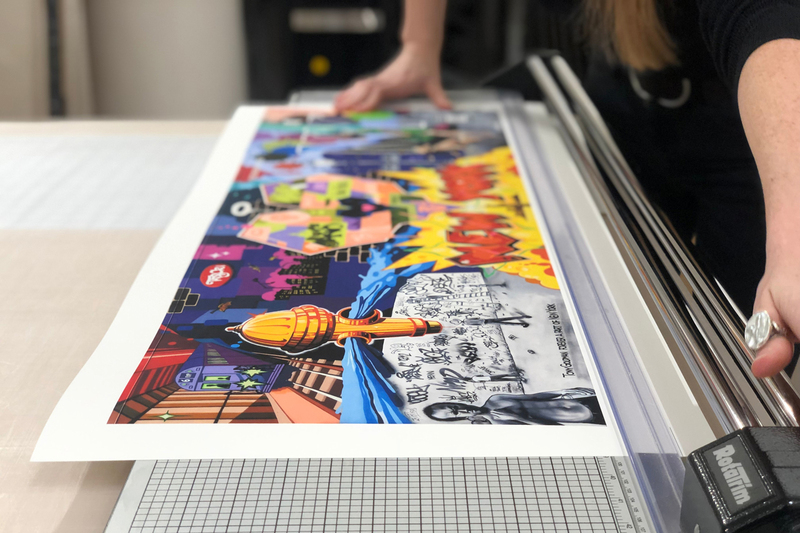 Now, the collective has teamed up with Goldman Properties to release limited edition prints portraying the public artwork entitled I Love New York NY. 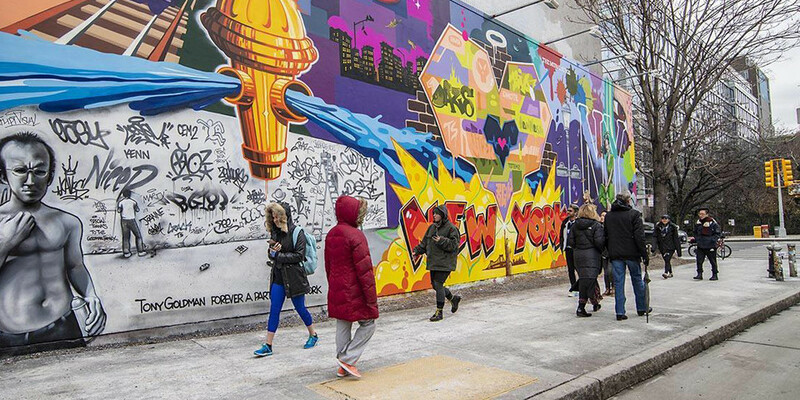 “The mural also invokes classic New York through black and white images of the Lower East Side while graffiti hearts burst in the center with full-color elements throughout,” said Goldman in a statement. The print will release in a signed and numbered edition of 100 prints. Following his collaboration with Futura, Felipe Pantone is set to release a new customizable graphic entitled Marta on his Configurable Art website. The online platform allows users to build unique creations using an unlimited number of elements. 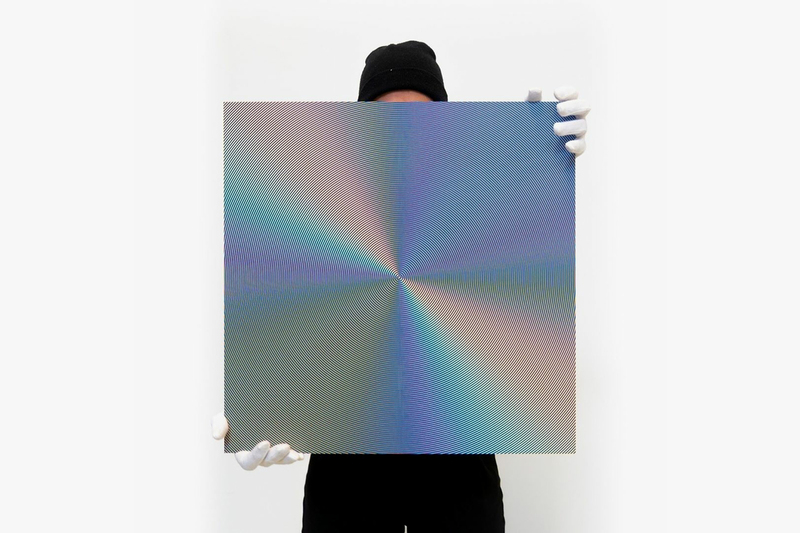 Examples include computer-generated graphics, colorful glitches, and jagged grids. Collectively, the platform is a first of its kind with consumers designing works using Pantone’s BuildYourOwn™ tool on the project’s online dashboard. 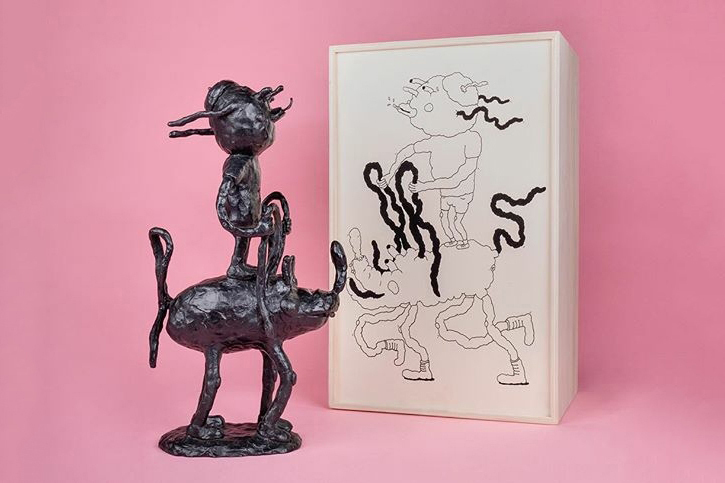 Case Studyo joined forces with Swedish-born artist Joakim Ojanen on a special edition sculpture entitled Boy with BFF Riding in the Wind. The black patinated bronze artwork stands at 40 centimeters tall. The childlike subject is an extension of Ojanen’s signature practice of creating pieces that draw upon raw moments of human expression. The artist is widely recognized for his blemished paintings, drawings, and ceramics that explore the beauty behind life’s imperfections. Chicago-based Filipino-American visual artist Louis De Guzman is gearing up to release his first art print Falling Through from a series entitled In Between The Lines. The artwork is a hand-pulled screen print sized at 16.5 x 24 inches on cotton paper with deckled edges. 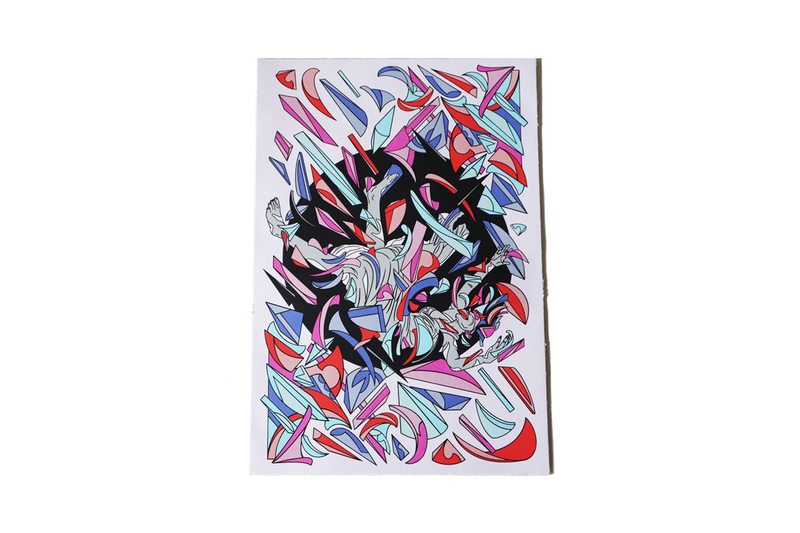 The print marks De Guzman’s second release since his most-popular ELEVATE vinyl sculpture. It will arrive in an edition of 75. The MoMA Design Store in SoHo recently launched ”The Print Shop.” The curated pop-up spotlights over 100 limited-edition posters. 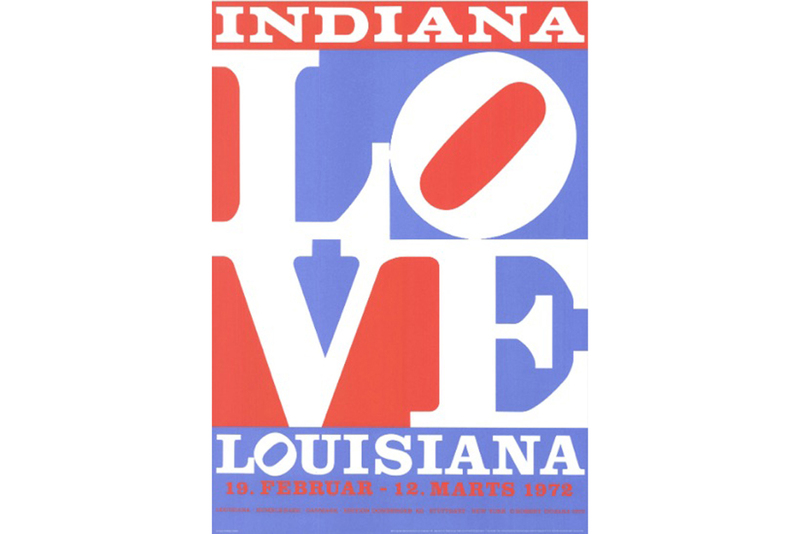 These posters depict rare artworks from over 50 artists that are featured in the Museum of Modern Art‘s own collection alongside pieces from various international outlets. The selection of artworks features renowned artists such as Frank Stella, Cindy Sherman, Andy Warhol, and Robert Indiana. The Print Shop at MoMA Design Store, SoHo runs until March 25. Limited works are available online.